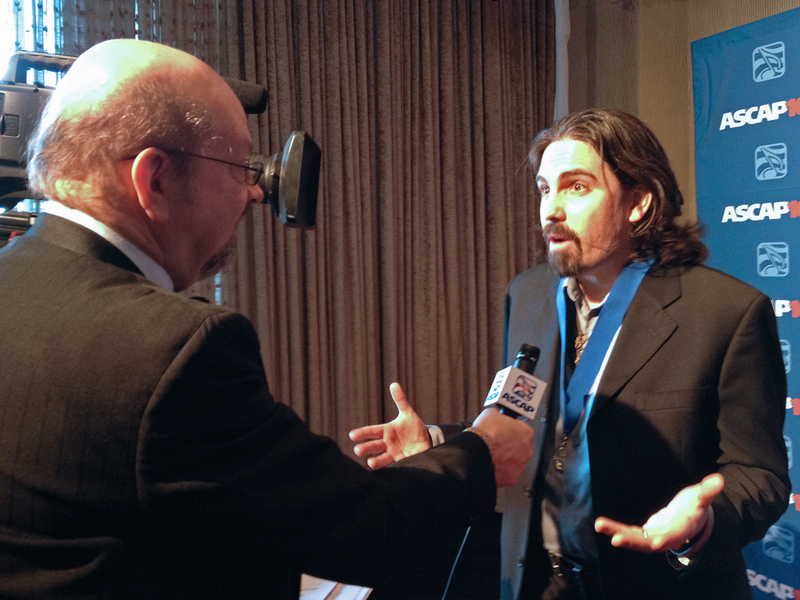 I was happy to shoot brief red-carpet interviews with several of this year’s ASCAP award winners, including Wendy Melvoin and Lisa Coleman, Bear McCreary and others. This collection of video clips includes one of my favorite moments, a wonderful chamber-music performance of Garry Schyman’s Bioshock Infinite theme. 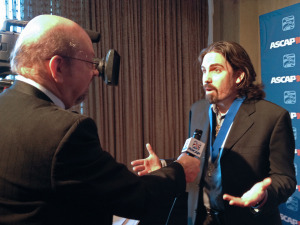 Interviewing the always animated Bear McCreary. In addition, I worked with director Dan DiSouza of Talking Pictures Media to create three of the evening’s key video tributes: one profiling the great Shirley Walker, another on Wendy and Lisa, and a third celebrating 100 years of ASCAP film music. Here‘s my rundown of the key awards and the evening in general. This entry was posted in Composers, Film Music, Television Music and tagged ASCAP, Bear McCreary, Garry Schyman, Lisa Coleman, Shirley Walker, Talking Pictures Media, Wendy Melvoin on June 26, 2014 by Jon Burlingame.